L. Don Shumaker is committed to providing excellence in dentistry, and stands out as a leading dentist in Cleveland. The doctor uses the latest in dentistry techniques to provide you with a beautiful and healthy smile. Additionally, L. Don Shumaker believes strongly in education to prevent oral health problems before they occur, and makes sure to keep patients fully informed about their dental health. 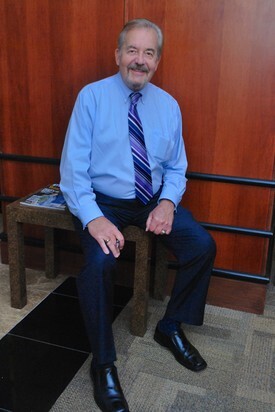 Read more about Cleveland dentist L. Don Shumaker below. Dr. L. Don Shumaker is a graduate of the Ohio State University College of Dentistry. He has been in general dental practice in downtown Cleveland with his associates for over 25 years. He designed his practice to offer complete services to his patients so that they were not being referred all over town for different dental procedures unless specialty services were required. Dr. Shumaker is also a Master of the Academy of General Dentistry (MAGD). The MAGD is an earned distinction for extensive training that is only held by about 2% of all dentists. He has received many other professional honors from his colleagues, including selection as the 2001 Distinguished Dentist by the Ohio Dental Association (a singular, yearly honor and the ODA’s highest honor). He holds similar honors from two other dental organizations and fellowships in 6 professional groups. He has long been active in leadership roles in his profession. He has served as President of several dental groups and has chaired multiple committees dealing with dentistry on the local, state and national level. He has served as an advisor to Ohio’s two dental schools and Ohio State University. 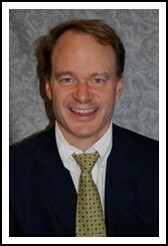 He is also one of the nation’s most experienced Expert Witnesses for dental malpractice issues. He currently chairs Ohio’s Sub-Council on Dental Ethics (09’). His training after dental school has been an optional General Practice Residency, Reserve Dentist for the USAF Academy, and extensive continuing education in Cosmetic Dentistry, Endodontics (root canal), Orthodontics and the other areas of general dentistry in his quest for excellence. Don and his wife, Gail, have 7 children and raise horses and dogs, They have also been adopted by some cats and a bird. Dr. Sazima is from Cleveland, Ohio, and is a third generation dental professional to practice in the area. He went to college at Bucknell University and dental school at Case Western Reserve University. He completed residencies in hospital dentistry at St. Lukes Hospital in Cleveland, and Periodontics at Boston University. He has practiced in Boston and New Jersey, where he also taught dental students at both BU and UMDNJ. He started his practice in Westlake in the fall of 2001 and works a few days a month with Dr. Shumaker at our downtown office. Dr. Sazima is a Fellow of the Pierre Fauchard Academy, and has been recognized by his peers as one of the Top Dentists 2008 in Northern Ohio Live.